Have you ever tried to use a pair of tweezers that the tip was out of alignment? 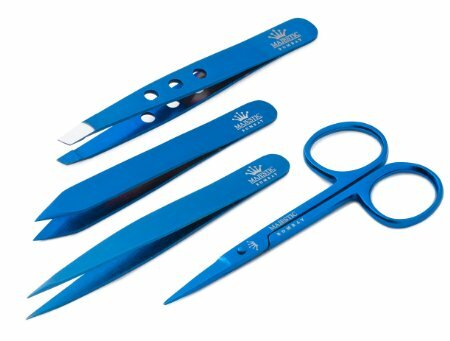 That'll never happen again with this this Stainless Steel Luxury Tweezer Set. This set is of the highest quality and will never bend or misalign during use. They're great for splinters, ingrown hairs, facial hair, or even bikini area. The sharp precision tip makes it easy to pull a hair or splinter the First time. They come in a handy zipper case, great for travel, or just to keep organized. This one set should be the last set you ever need.